When you think of racing games, you don’t usually think about tranquil and intimate music. If you then add the composers behind some of the music in trailers for Mad Max: Fury Road or Jurassic World, peaceful arrangements are really not what comes to mind. 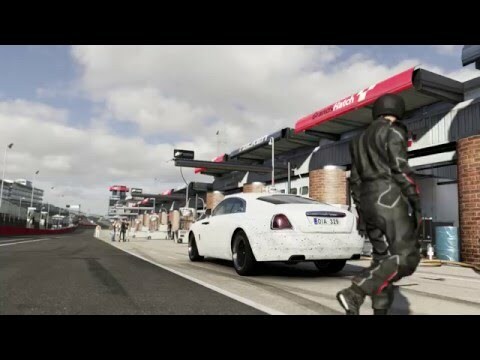 Yet, besides the mandatory action pieces, here I had quite many placid, tranquil moments in the score of Forza Motorsport 6, composed by Michael Nielsen and Kaveh Cohen, founders of trailer music company Ninja Tracks. When I spoke with Michael and Kaveh about how they approached the score, both explained to me that the parts of the game that needed to be scored were divided into three: The pre-race, the actual race and the post-race. While the pre-race is all about selecting your favourite car, the next track and then get ready for the actual race, the post-race is all about looking back at the thrilling ride you just experienced. The post-race is the sequence when you have just crossed the finish line, your car is rolling back into the pits, all your scores and times are up, the energy of the race has come all the way down – and you get a few minutes to reflect on your race. As Kaveh and Michael told me, for these brief moments, it was possible to create some of their favourite overall cues in the score, like Love of the Sport or Focus. Both Kaveh and Michael have been video game fans since they were little and while speaking about their love for video games which now both pass onto their children, Michael indulged himself in remembering having played licensed cars for the first time in video games in ‘Test Drive’ (1987). While Michael had played the previous two titles of Forza, Kaveh had played every part from day one and even bought his XBOX ONE with the Forza 5 bundle. Kaveh is also a big car fan in general which is pretty obvious when you have a look at the cars he has owned in the past. Prior to Forza Motorsport 6, both have already composed music for video games like the Splinter Cell franchise. With a lot of experience in scoring for TV productions as well as trailers, this experience in scoring video games “made the decision at least a little bit easier” for Nick and Chase, guessed Kaveh when we spoke about why both got hired in the end. The reason why Michael and Kaveh were approached by Developer team Turn 10 in the first place, was that Audio Director Nick Wiswell and Audio Lead Chase Combs had realized that many of their recent favourite movie trailers turned out to always feature the same two composers’ music in them. When both were approached, Michael and Kaveh were very excited – but a monumental task lay in front of them: They were told that the main goal was to create a new sound for the Forza franchise and to take the score into a new direction. Therefore one of the very first things for the composer duo was to find out what Forza’s theme was going to be. Yes, since its first edition in 2005 there had never been a theme for a Forza game before. That generated enough pressure for the two composers to begin with, it also was not an easy task since there was no character to write the theme for; as compared to a movie for example. Thus Michael and Kaveh decided to “build a sense of desire, reflect the attraction and almost sensuality of cars,” as Kaveh summarized. Additionally they wanted to capture the production aesthetics and the “modern, cutting-edge engineered feel of cars and motorsport in general.” All these emotions of the racing industry had to be embedded in the theme which led to both composers taking about an entire month to go through their thought process. Kaveh then jumped in and added that they wanted the score to be more filmic compared to the previous Forza titles: “We wanted to have more scope and depth. We wanted to get thematic and to get a sense of elevation. A lot of the decision making, as far as going to an orchestra and integrating it with electronics, was to capture all of those things. I think using the orchestra for the main theme and a lot of the sub themes and the races, really gives it a sense of weight. That it’s just not the same without it.” Fortunately for Kaveh and Michael the first idea was very well received at Turn 10 and so they went on expanding it into the score. What we are trying to create is a musical journey that runs parallel and supports the player, when he or she enters the game and goes through this journey of car and track selection etc. Every time you play you may not play it the same way: You may not pick the same car, you may not play the same track, you may not race the same style – and the music will not be the same. It’s very dynamic. So it’s literally a completely different experience every time you pick out the joystick to play the game. Therefore the implementation of the score was of essence since they both “wanted it to fit together and to become really cohesive to keep you in this world – and not destroying it jumping from one piece to another.” Implementation of the music is always a crucial part of a video game score and thus Michael and Kaveh were in constant dialogue with Nick and Chase. You can make the implementation so complicated that it will have a negative effect on the end result of the score musically. So our priority was to maintain the musicality in a filmic score to create the typical soundtrack experience, while being able to still create a dynamic score for the player to experience. Nick and Chase are really into it musically. They are really good at what they do and they have been doing it for a long time. So we had a lot of trust there. If they told us something was not fitting, we had to believe them. 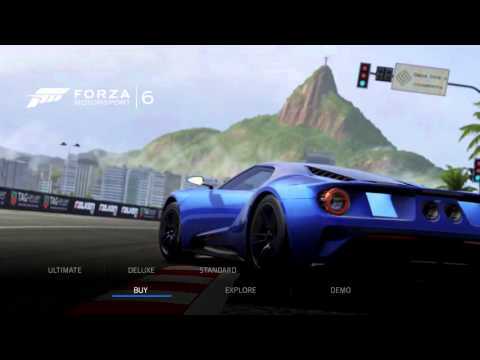 Forza Motorsport 6 – EP01 – So Many Gifts! Besides the aforementioned post-racing scenes, these pre-racing sequences are then the time where the more intimate pieces got a lot of room to breathe and lull the player in. 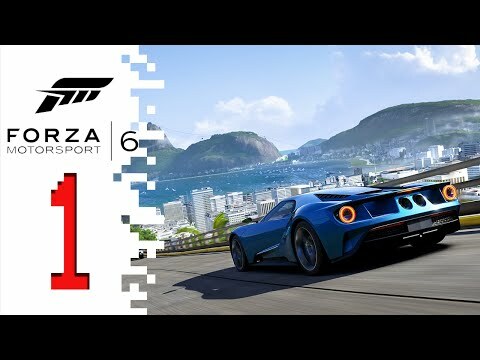 You can listen to the more tranquil parts of the score during the vehicle selection sections in Forza Motorsport 6 in LIRIK’s unusually overwhelmingly positive Let’s Play (for anyone being unfamiliar with LIRIK: Be prepared for heavy usage of bad language). Since Kaveh and Michael work as a team you might be curious how they split the work on Forza Motorsport 6 and how they work in general. Both of them know each other for twenty years already. Therefore both know very well how the other one works – also because their studios are only five feet away from each other, so that one can hear sounds leaking through the door even when both don’t work on the same project at the same time. Both write music and both do Sound Design as well as both like integrating them together because, as Michael puts it, “it makes pretty interesting scores.” Cues are mainly separated between the two when for example a piece is more guitar oriented, then Michael starts with it, the guitar being his prefered instrument. And the other way around with Kaveh, if a piano is involved. But overall both say that it usually just comes down to who has the best idea about a specific cue. Concluding this article we delve a bit more into Kaveh’s and Michael’s background. Michael started out working with Disney’s rock artists in his twenties as well as he did a lot of rock and pop production in general without having ever been to any music school. In the past he worked with major pop artists like Barry Manilow [the singer-songwriter behind Mandy], Kenny Loggins [Footloose] and Lenny Kravitz [Believe in Me]. Michael then went on to write songs to be licensed in films, which led him to scoring films and back to production of music to be licensed in films. In these years he got to work with Kaveh through a mutual friend of both who led them into the world of music for movie advertising. Kaveh had started out with piano lessons as a child and went on to write his own pieces. He got hooked onto scoring when he was very young and was blown away by John Williams’ magnificent score for E.T. 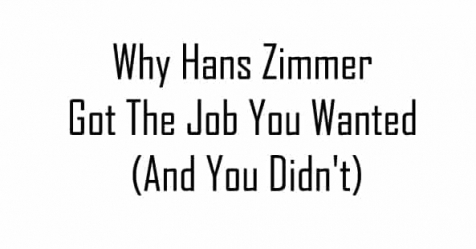 : “I think I was eight years old and from then on I just stayed pretty single-minded that I wanted to get into scoring.” He then made up his way until his first paid jobs were scoring animations in a time when “you would get a storyboard book and you would have to read the storyboard book and you would have to decide how long the piece should be, based on how many pages the sections of the storyboard was.” After being fortunate to have a friend whom he could help with scoring animations for several years, he then went on scoring documentaries as well as mini series for all the big cable networks. When he then got into scoring for different areas, the mutual friend brought him together with Michael, whom he had met years ago already at a local music store. Since the late nineties both had been “dear friends”. They both started working together in the early 2000s, leading to the founding of Ninja Tracks in 2004 after their first achievements in the trailer industry. Some years of success later, the label was then acquired by Warner/Chappell in 2010 under the name Full Tilt. After two years of collaboration, Michael and Kaveh separated from Warner/Chappell to found their own current production label Revolution in 2012 aside from their ongoing scoring jobs in the gaming and TV industry. I think that part of why we have been fortunate enough to have some success over the years, is that Michael and I come from different musical backgrounds but working together on the same kinds of projects, we have learned a lot from each other and rubbing off on each other a lot. At the same time we come at these projects from slightly different perspectives. I don’t come from a pop or rock background [like Michael] for example but if I have something to do in that vein, having learned as much as I have from Michael, I’ll just have a slightly different perspective on approaching that kind of genre. And the same thing with Michael: If he is coming at something that was not part of his background he has a slightly different perspective. I think that is what makes it really interesting. Michael also added that both could separate “heavy weeks working on the game” to not be burned out quickly and to come back fresh even though all regular commitments were ongoing anyway while working on Forza for almost one year. Now both have recently finished scoring the Porsche Add-On for Forza Motorsport 6 as well and are looking forward to their post-Forza projects. You can find more info about Kaveh Cohen and Michael Nielsen on NinjaTracks.com and on Facebook as well as on Michael‘s and Kaveh‘s personal websites. The Forza Motorsport 6 score is available on iTunes. A more detailed review of the score itself you can find here. You can read another insightful interview with Kaveh and Michael on ForzaMotorsport.com where you also find an interview with Turn 10 Audio Director Nick Wiswell and Audio Lead Chase Combs.